Continuing our commitment for constant improvement in everything we do in order to improve the way we serve our customers, our company is proud to announce that we have passed with TOP performance the FIDI Accredited International Mover” (FIDI – FAIM) program. FIDI Global Alliance developed a worldwide quality Standard dedicated exclusively to the international moving industry known as “FIDI Accredited International Mover” (FIDIFAIM). 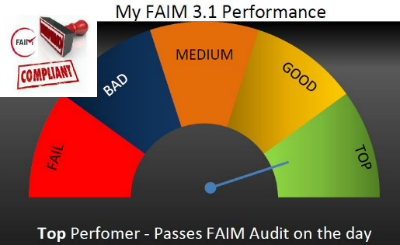 FIDI-FAIM is an accreditation program, providing international movers the possibility to have a periodic independent assessment of their cross-border and international moving activities. After more than a decade, the FIDI-FAIM certification programme has been widely recognized as the supreme seal of quality in the international moving industry.